Cloud computing has taken off dramatically across Africa’s major markets, but its benefits are experienced very differently in each region – as are its budget allocations. These were some of the key findings of Cloud Africa 2018, a research project conducted by World Wide Worx for global networking application company F5 Networks, across Kenya, Nigeria and South Africa earlier this year. Decision-makers at 300 medium and large organisations were interviewed about cloud computing usage, benefits and intentions. “Over the five years since World Wide Worx conducted equivalent research, use of the cloud among medium and large organisations has more than doubled, from less than 50% using it in 2013 to pervasive use in 2018”, says World Wide Worx managing director, Arthur Goldstuck. Respondents in Nigeria and Kenya named business efficiency and scalability by far the most important benefit of cloud computing, with 80% and 75%, respectively, selecting it as an advantage, compared to 61% of South African respondents. For South Africans, time-to-market or speed of deployment came in as the most prominent benefit, as cited by 68% of respondents. In contrast, only 48% of companies in Kenya and 28% in Nigeria named this as a key benefit. Barker believes this is a result of the infrastructure challenges in developing information technology markets like Nigeria and Kenya, where the cloud is used to overcome the obstacles that get in the way of efficiency. “In South Africa, with a more mature IT landscape, the focus is on the competition rather than the business itself,” he says. This is borne out by the fact that almost a quarter (23%) of South African respondents see the cloud as a platform for international expansion, whereas this figure drops below one in five in Kenya (17%) and below one in ten in Nigeria (6%). The one area where all three countries are level – using the cloud as a platform for service innovation – is ranked exceptionally low, at around 15% across these markets. 82% of respondents in Nigeria have seen an impact from cloud computing on market share, with 48% seeing a high or very high impact. In Kenya, 69% have seen an overall positive impact, while 48% had seen a high or very high impact on market share. In South Africa, 66% had seen a positive impact but only 33% had seen a high or very high impact. Innovation within the organisation saw an equally high impact in all markets, with 100% positive impact in Nigeria, 98% in Kenya and 88% in South Africa. The cloud has had a similar impact on brand perception, at 100% in Nigeria, 98% in Kenya and 85% in South Africa. 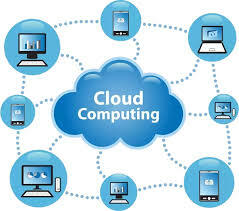 The cloud has also had a high impact on customer experience, at 96% in Nigeria, 85% in Kenya and 81% in South Africa. Nine out of ten (90%) companies in South Africa said they had increased spending on cloud computing last year, and 83% said they would increase these budgets in 2018. In Nigeria, 78% said they had increased budgets last year, and 94% said they would increase their spending this year. The biggest increase comes from Kenya, however, with 74% of companies having increased cloud budgets in 2017, rising to a massive 98% in 2018. A minimal proportion of respondents – not more than 2% in any of the countries surveyed – said they had decreased cloud spending last year. For 2018, no companies in Kenya or Nigeria said they would decrease spending, although 5% of South African respondents said they would. Broken down by industry in South Africa, the highest proportion of increased budgeting for 2018 was reported by IT software and services companies, at 92%, followed by Mining at 85% and Retail trade at 83%. The biggest drop in cloud budgeting was expected by the Engineering sector, with 13% declining in planned spending. When asked which apps were critical to organisations, 68% of Nigerian and 67% of Kenyan companies said Service apps were critical, while only 40% of South African respondents named these as key. On the other hand, South African companies were far more likely than those in the other countries to regard human resources apps as important: 43% of South African respondents named HR apps as critical to business, compared to 19% in Kenya and 10% in Nigeria. A further indication of the low emphasis on internal apps is the rating of operational apps, which are seen as critical by only 15% of respondents in Kenya and 10% in Nigeria. While still low in South Africa, at 30%, it was more than double the proportion of the other two countries combined. One area where all markets are equal, however, is in business apps, with only small variations between the three countries measured. Nigerian respondents took them slightly more seriously than the rest, with 76% seeing them as critical, while 72% of South African companies and 67% of those in Kenya agreed.